For the past few years, if you went down Leon Smith Parkway, then McIntosh Road in Oxford. You could not miss a large Christmas based attraction in front of one home. 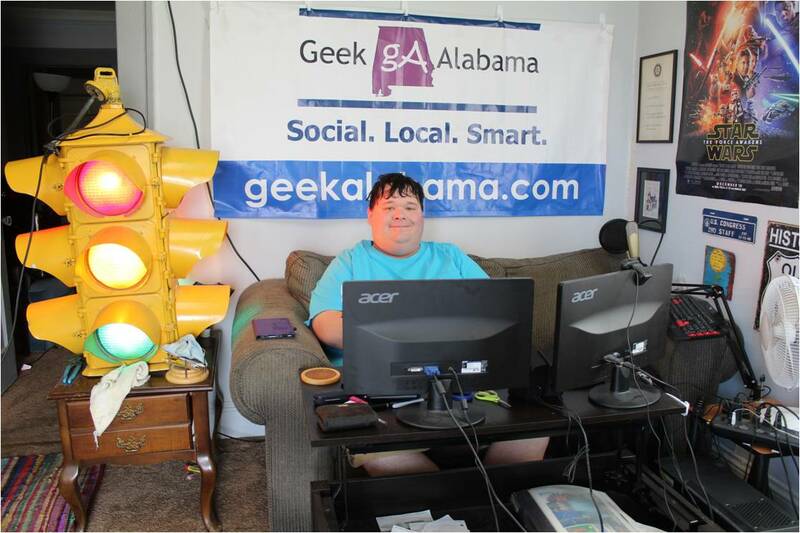 Each year, Avery Robertson plays the role of Santa Claus in a decked out house including Santa’s Sleigh, giant wooden white reindeer, Christmas decorations, and a chance for the kids to sit in Santa’s lap. Avery goes out each night and waves to the traffic passing by along McIntosh Road in Oxford. And for 2016, the attraction has seen over 3,000 people! And we are not even at Christmas yet. It has quickly become one of the top Christmas attractions in Alabama. It takes many Christmas decorations and flood lights to make the entire yard look like a Christmas wonderland. Along with the numerous Christmas lights and homemade decorations, there are giant wooden white-painted reindeer in front of the house in front of Santa’s sleigh. Well, some nutjob out there thought those reindeer where ugly, and a grown man in a car with blaring music got out, ran up and chopped two of the reindeer’s legs with an axe, and quickly got back in the car and drove off. It happened sometime on Thursday night around 10 pm. And this act of vandalism has the Robertson family sick. So, I am going to include photos and a video I took this morning of the vandalism. I hope whoever did this will realize in their heart the horrible things they have done and will turn themselves into the police. As for ways to help Friendship Santa, simply go out there and visit them! They are already replacing the reindeer chopped by an axe. 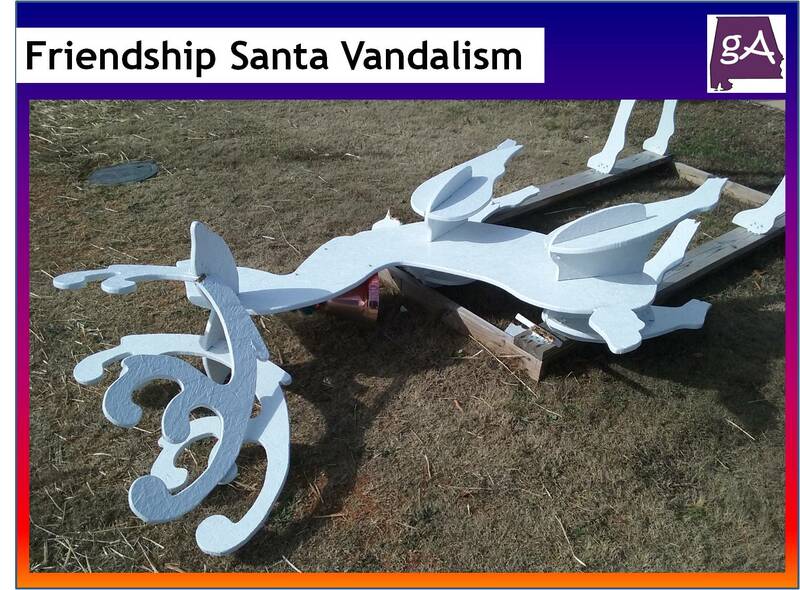 I have helped to put Friendship Santa on the map, and this type of vandalism is not the Christmas spirit!